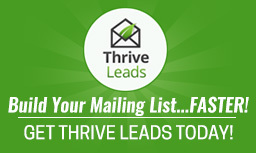 One of the advantages of using Thrive Leads to grow your email list is that you can easily change the look of the opt-in form without using code. Thrive Leads uses a what you see is what you get design feature. This means that it is easy to customize. It is easy to change your Thrive Leads background color. In this tutorial, you will learn how to change the Thrive Leads background color. Step 1: Open the opt-in form that you want to edit. Step 4: At this stage you have two options. Option A: Add a custom color by left mouse clicking on the "background color" button and moving on to step 5. Either option will change your Thrive Leads background color. A. Select one of your pre-set color options. B. Enter either your RGB color option or your hex color option. If you are curious why email marketing matters, check out this stat from Help Scout. So considering how important email marketing it, it is equally important to make sure that your opt-in is visually appealing. One of the many reasons that I love and use the Thrive Leads WordPress Opt-In plugin is because they make customizing it easy. 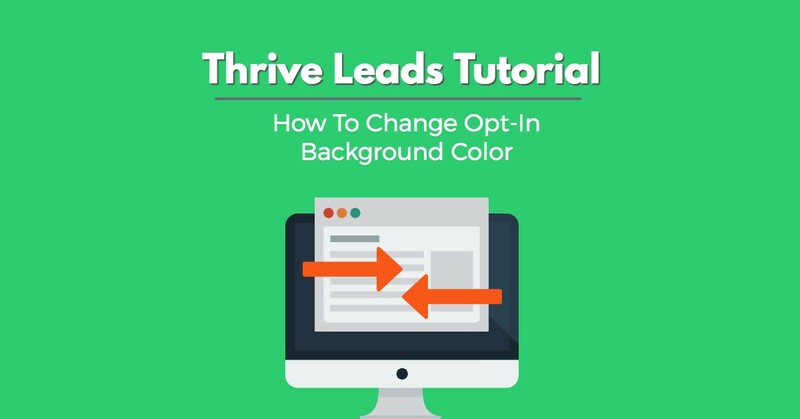 Now you should know how to change your Thrive Leads background color. To read my full Thrive Leads review and find out if it is the right plugin for you, click here: http://iteachblogging.com/thrive-leads/.